As we all creep towards Friday, and the first week anniversary of the Newtown, Sandy Hook Elementary School shooting and the alleged end of the Mayan calendar, it is time to pause. To look back and forward. First off, what is wrong with the general ability of people to count? Twenty-six wreaths, twenty-six candles, even twenty-six flares. But, at Newtown, on that horrific day of violence, 28 people died. Twenty children at the school, six teachers and staff at the school, the shooter's mother at her home, and the shooter by his own hand at the school. Twenty-eight. 28. There is no reason to de-humanize Nancy Lanza and Adam Lanza by not counting them. Adam Lanza, 20, Death #28. 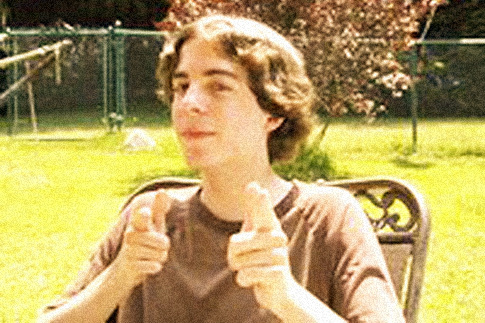 Breaking news today was that Adam Lanza was alone in the days leading up to the Newstown shooting, when his mother had traveled to Bretton Woods Resort, New Hampshire, to take a mini-vacation. Adam Lanza was was unsupervised for two and a half days with his mom’s guns before Friday’s massacre, according to a new report from HLN. "Nancy Lanza had only just arrived back at her home Thursday evening, following a two-night trip to Bretton Woods, New Hampshire," according to CNN. HLN reports "that Lanza checked into the Omni Mount Washington Resort at 12:10 p.m. on Tuesday, Dec. 11, and checked out at 12:27 p.m. on Thursday. The drive between Bretton Woods, NH and Lanza’s hometown of Newtown takes nearly five hours and clocks in at just under 300 miles." The Mount Washington Hotel and Resort is one in the last surviving New Hampshire grand hotels. The Mount Washington Hotel in Bretton Woods, New Hampshire, was recently mentioned on Olive Stone's The Untold History of the United States. Preparing to rebuild the international economic system as World War II was still raging, 730 delegates from all 44 Allied nations gathered at the Mount Washington Hotel in Bretton Woods, New Hampshire, United States, for the United Nations Monetary and Financial Conference. The delegates deliberated during 1–22 July 1944, and signed the Agreement on its final day. 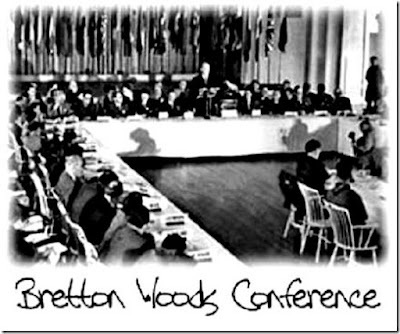 This historic Bretton Woods conference in 1944 that laid the groundwork for the International Monetary Fund and the World Bank. 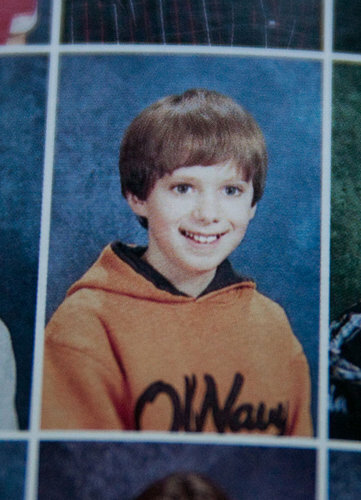 How about the video games played by Adam Lanza? Over-the-top comments have been posted on the web about Lanza playing various video games nonstop. But the recent concentrated discussion of his alleged obsession with one specific game, according to my consultant CCCC, fails to take into account that "Starcraft is a strategy game and only one of the races even uses guns (the other two are insectoid and psionic). That's the media though." Coming Copycat Incident At A Sporting Event? Since 9/11, more than a few administrators, coaches and athletes have expressed to me the concern that one of their events may be used for a statement by one of our many sociopaths with a motive, political or otherwise. (This has a little to do with the fact that so many of our athletes have armed themselves.) After all, these are people whose lives depend on regularly scheduled mass events. And, while major events like the Olympics and the Super Bowl are thick with security, the average major college football or basketball game is not, and an incident at one of those would be just as devastating. (Boeheim's teams average over 30,000 people per game.) The people involved in our games have been talking among themselves about this for years. [Syracuse coach Jim] Boeheim wasn't just talking gun policy there. He was talking about workplace violence, and good for him. I have had similar thought. 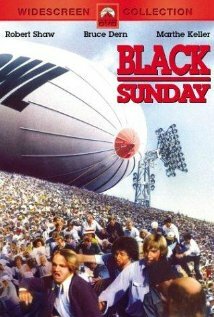 It does seem fortunate that the USA has not suffered a "Black Sunday"-type terrorist incident, to date, especially after Black Sunday appeared as a novel by Thomas Harris in 1975, and a successful film directed by John Frankenheimer in 1977. On a smaller scale, I too have been quietly cautioning that the copycat shooters appear to be moving from school, workplace, and postal shootings to church, mall, and theater violence, then returning to school venues, often, as their captive "fishbowl" theaters of murder. These, of course, are frequently followed by the actual purpose of the shooting - the suicide or suicide-by-cop of the shooter. I have been aware that sporting events - baseball games, football contests, and other large audience confined stadium events - may be the next "target." It was especially disturbing to see that in The Dark Knight Rises, it was at a football game where Bane declared the beginning of the chaos that would destroy Gotham City. And then it began there. I have wondered if a self-fulfilling agent of the media-driven sensationalistic interest in the alleged "End of the World" on Dec. 21 will result in chaotic events on Friday, or blowback frustrated incidents on Dec. 22-23, needless to say, at sporting events, as well as other locations? I certainly hope not, but I would warn all public safety agencies be on the alert. "Suicides, murder-suicides, and murders – the events that are at the core of the most negative projections of the copycat effect -- will remain newsworthy in the eyes of the media in the foreseeable future and will continue to be reported." ~ The Copycat Effect, 2004. The media must cease its graphic and sensationalized wall-to-wall commentary and coverage of violent acts and the details of the actual methods and places where they occur. Photographs of murder victims, tapes of people jumping off bridges, and live shots of things like car chases ending in deadly crashes, for example, merely glamorize these deaths, and create models for others – down to the method, the place, the timing, and the type of individual involved. Even fictional entertainment, such as the screening of The Deer Hunter, provides vivid copycatting stimuli for vulnerable, unstable, angry, and depressed individuals. I am not about to pick sides in a debate that appears to not understand that the solution to lessen future violent incidents like what happened at Newtown will be multifaceted. But it is intriguing to look back at another "Newtown" massacre, and see what happened. There once was another Newtown in the news. The another New Town is on the other side of the globe. On April 28, 1996, a gunman from New Town, Australia, opened fire on tourists in Port Arthur, Tasmania, killing 35 people and wounded 23 more. It only took the government of Australia less than two week to announce a bipartisan deal to enact gun control measures. There have been no mass killings since then. Source. Loren Coleman's 2004 book The Copycat Effect: How the Media and Popular Culture Trigger the Mayhem in Tomorrow's Headlines shows that the copycat effect is as old as the media itself. Johann Wolfgang von Goethe's 1774 classic The Sorrows of Young Werther triggered a spate of copycat suicides all over Europe. But today the velocity and pervasiveness of the media make the problem much worse. I know that the copycat effect does not propagate well in an environment in which the hidden is made manifest. Now that we understand and know there is a problem, the protective factor is the realization that there are things that can be done to stop it. My hope, of course, is that [my] book [and blog] might stir up a much needed debate on the subject and hopefully lead to social change, to a change in how the media handles these stories, to put the brakes on the copycat effect. Our future—our children’s future—is at stake. The time has come for someone to say, stop it. Stop sensationalizing the violence. Stop triggering violent behaviors now. You noted "Black Sunday" and an event at a sporting event. Well, we here in Oklahoma can't forget Oct. 1, 2005 when Joel Henry Hinrichs, a troubled OU student from Colorado, attempted to enter the OU football stadium with a backpack bomb. He didn't have a ticket. He went outside the stadium and waited for a bus - and then "Boom!" He died and thankfully no others did. The OU administration did an effective job in tamping down any stories other than the one where Hinrichs was a troubled young man who wanted to commit suicide in public. Just a question Loren: What is it in "The Deer Hunter" that would act as stimuli for copycats? Is it the Russian roulette game? Not to discount the copy cat effect, however, is it possible that the coincidental quality of the event, the event setting and the event background are elements of a programmed matrix. Is "all the world a stage?" Then the question becomes, can the settings be re-set within the matrix to alter the predominate outcome. Such as: passing gun control just to change the atmosphere; just to tone down the gun rhetoric; just to nudge against the electron flow; just to alter the course and deflect the event stream. Is that what happened in Australia? By doing so, can we effect a positive momentum and then be able to ask with joyful anticipation, "What's next?" The Reforma newspaper reported how the state governments are preparing security protocols in light of the Dec. 21st date, and the thousands of tourists flocking to the Maya Riviera. These are exciting times to live in. Mr. Coleman's work, among other, I think is part of the first stage of a new level of knowledge and awareness for us all about who we are and what we do. Thank you for including all the victims. What a horror for everyone. Linking the mayan calendar with the sports and batman synchronicities: ballgames were vitally important- even sacred- to Mesoamerican civilizations. And in the Popol Vuh, the deity Hunahpu has his head stolen by the monstrous bat Camazotz the night before a crucial ballgame against the sinister lords of Xibalba. Being a deity, Hunahpu gets better. Along with his twin brother Xbalanque, he steals his head back and goes on to win the game; but his severed head was used as the day-sign for the twentieth and final day of the Tzolkin cycle- which is also, by definition, the final day of the longer Baktun cycle of the calendar which infamously changed over today. I doubt that it means anything, but it's the first thing that came to mind when I read this post.